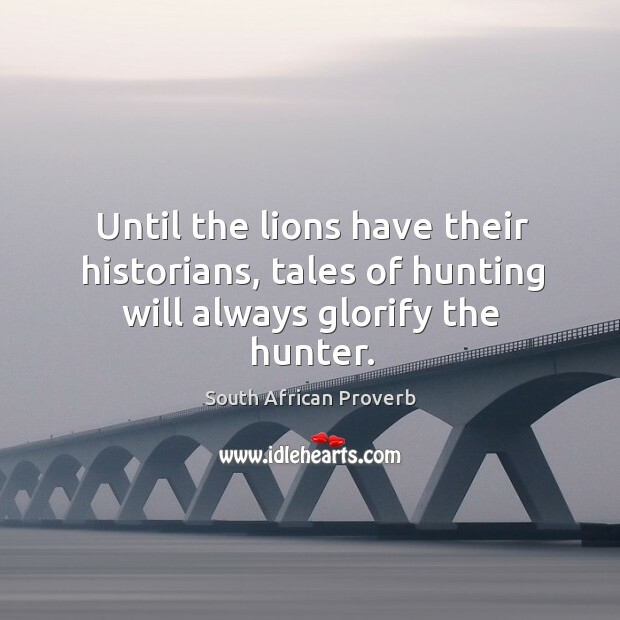 Collection of famous South African proverbs, true sayings and wise words. Use words and image sayings to keep you moving forward! 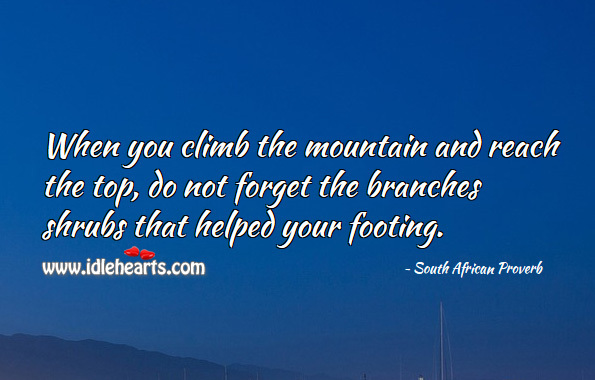 When you climb the mountain and reach the top, do not forget the branches shrubs that helped your footing. 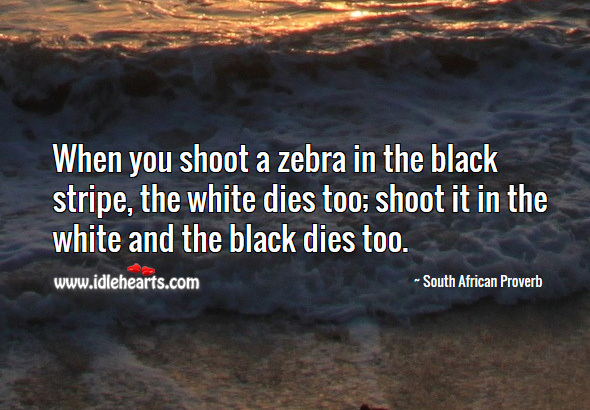 When you shoot a zebra in the black stripe, the white dies too; shoot it in the white and the black dies too. 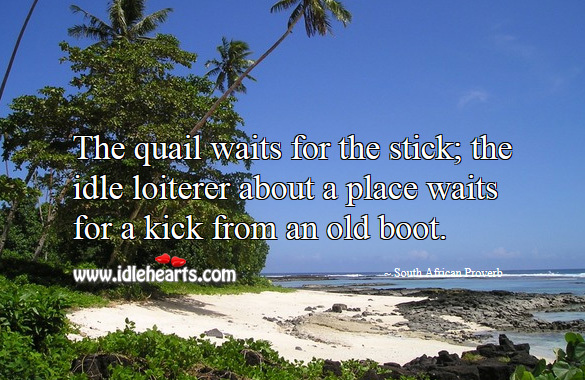 The quail waits for the stick; the idle loiterer about a place waits for a kick from an old boot. 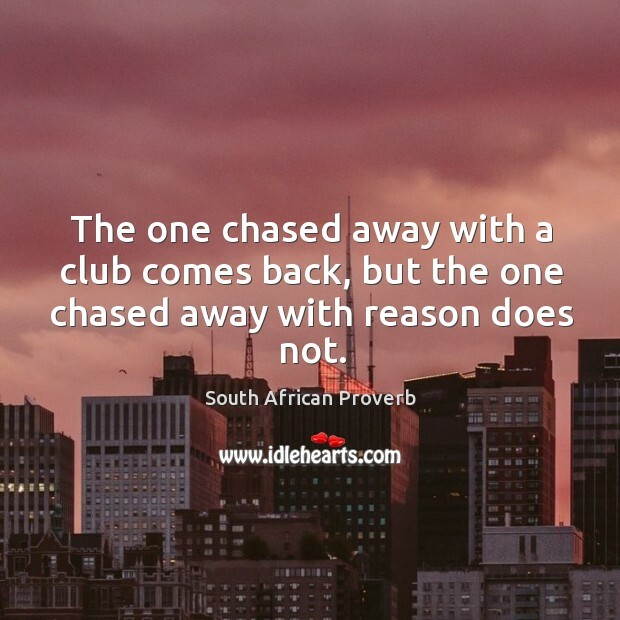 The one chased away with a club comes back, but the one chased away with reason does not. 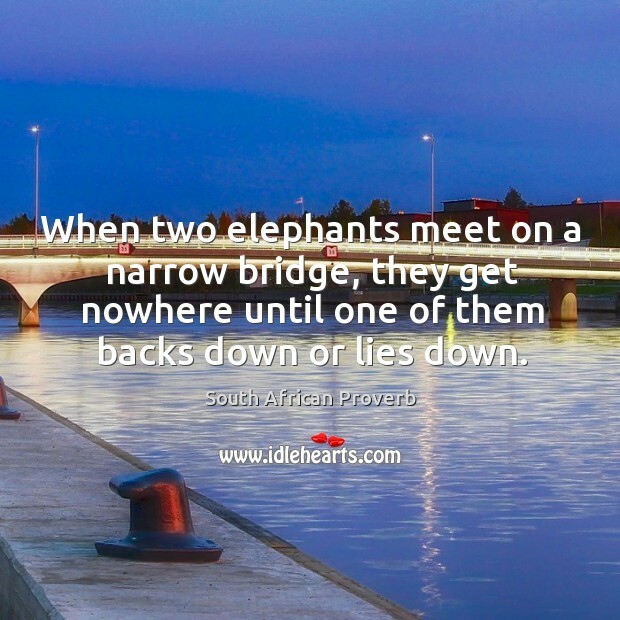 When two elephants meet on a narrow bridge, they get nowhere until one of them backs down or lies down. 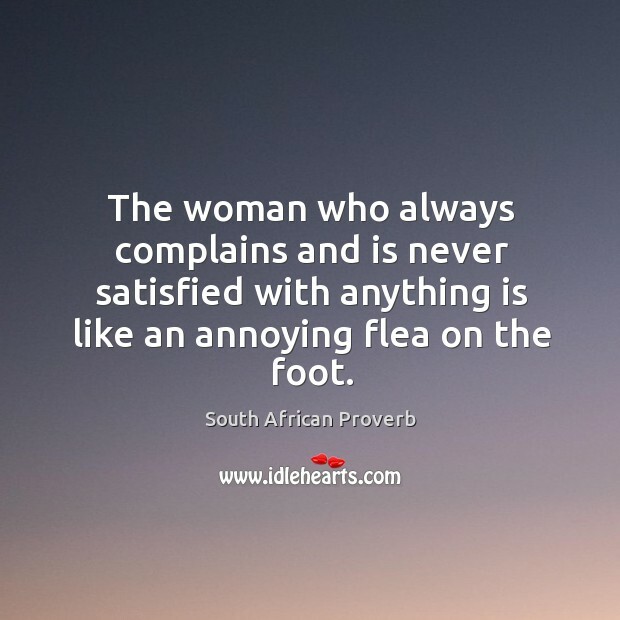 The woman who always complains and is never satisfied with anything is like an annoying flea on the foot. 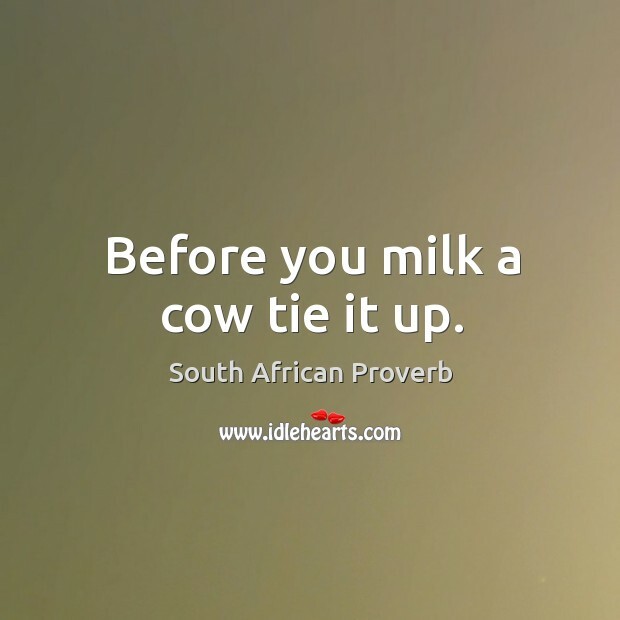 Before you milk a cow tie it up. 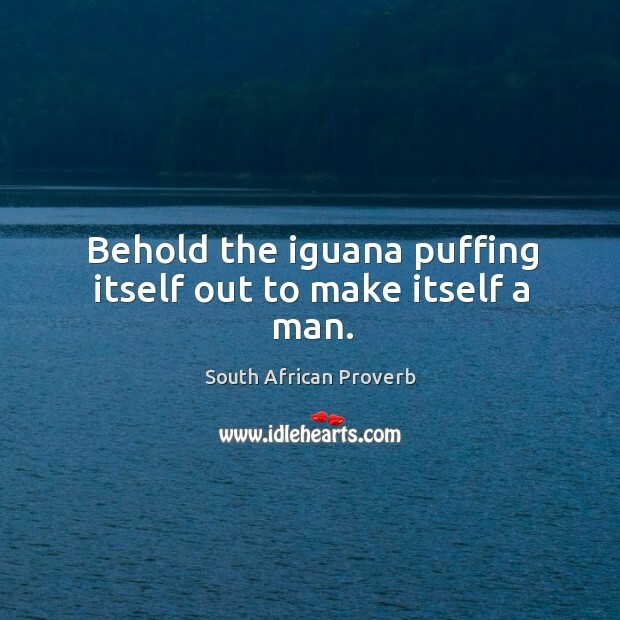 Behold the iguana puffing itself out to make itself a man. 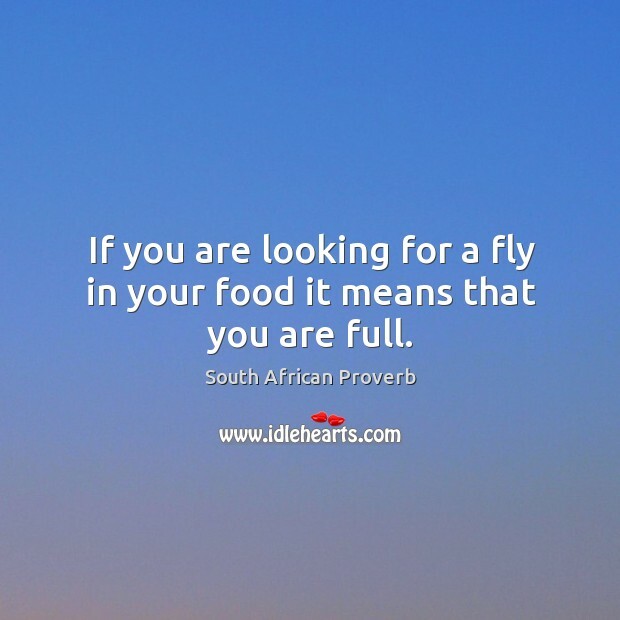 If you are looking for a fly in your food it means that you are full. 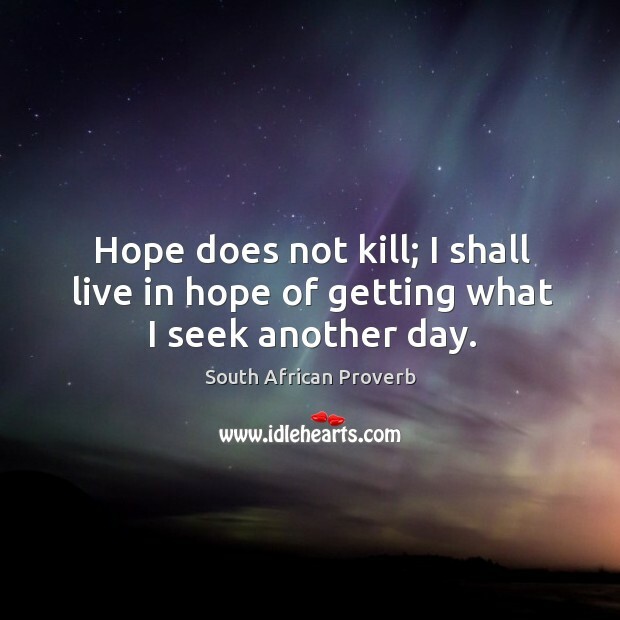 Hope does not kill; I shall live in hope of getting what I seek another day. 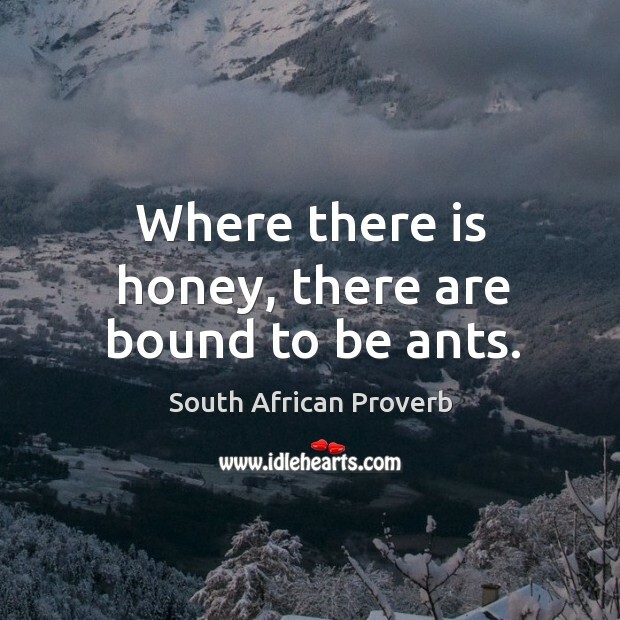 Where there is honey, there are bound to be ants. 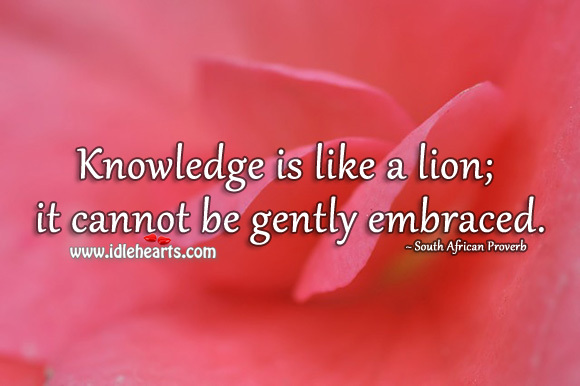 Knowledge is like a lion; it cannot be gently embraced. 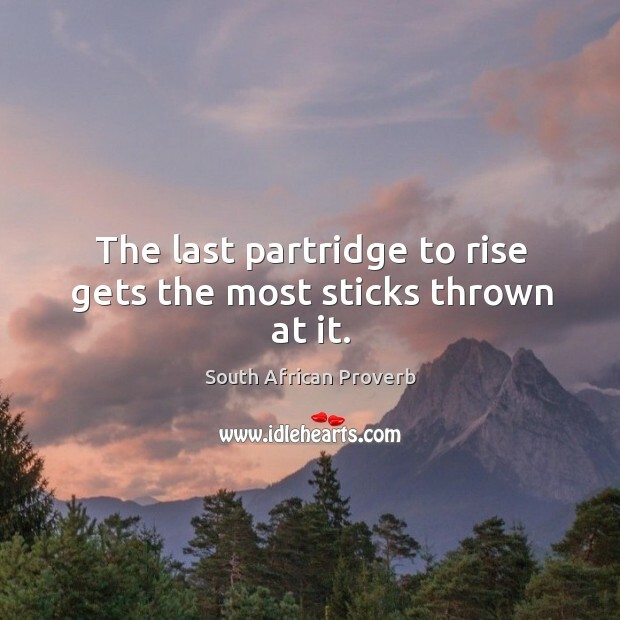 The last partridge to rise gets the most sticks thrown at it. 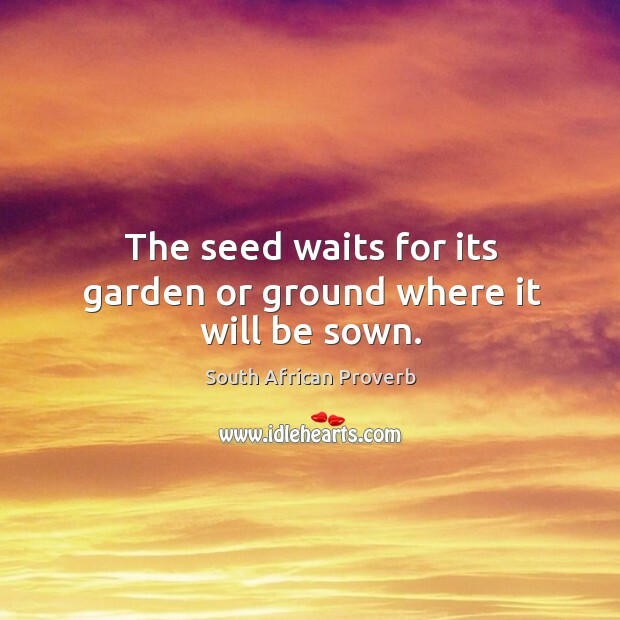 The seed waits for its garden or ground where it will be sown. 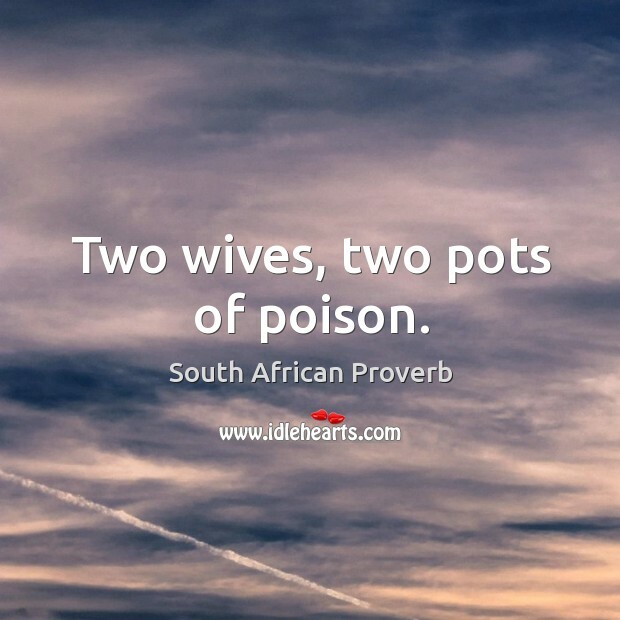 Two wives, two pots of poison. 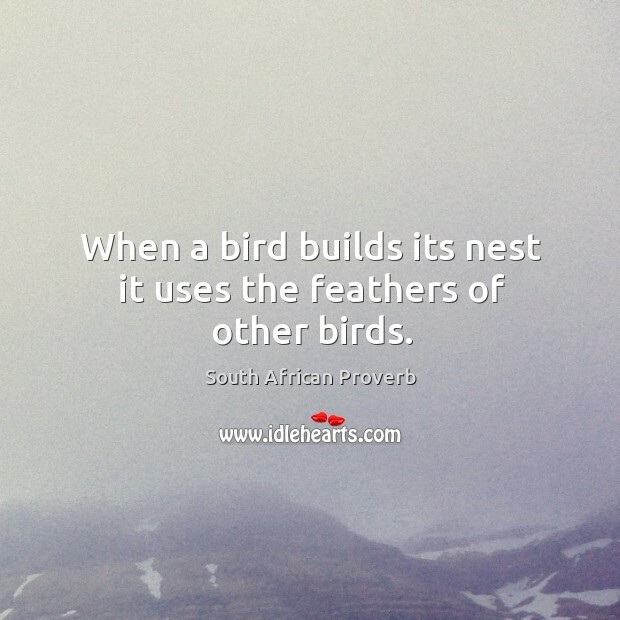 When a bird builds its nest it uses the feathers of other birds.